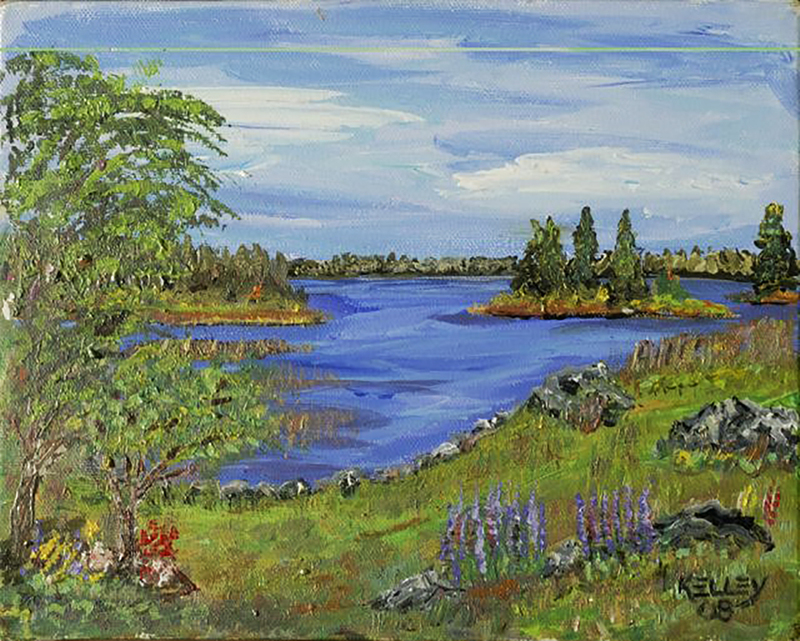 I painted this en plein air August 5, 2008 from the back porch of the summer home of Johan and Anna Candelin, Replot Island, Finland. Acrylic on stretched canvas; 8 x 10 inches; 20.3 x 25.4 cm. Price:In a private collection in Idaho, USA.